Since its founding in 1989, the nonprofit Garden Conservancy has helped more than 80 outstanding American gardens survive and prosper as public gardens. In addition, since launching its Open Days program in 1995, it has also welcomed more than one million visitors to private gardens in 41 states. 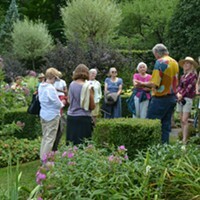 The Garden Conservancy’s mission is to save and share outstanding American gardens for the education and inspiration of the public. 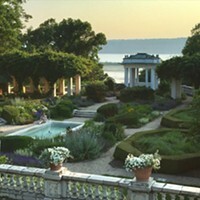 Its preservation work and all of its public programs seek to engage the public with issues related to design, history, preservation, and cultural significance of gardens. 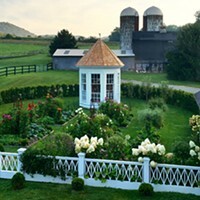 The properties that the Garden Conservancy helps save and share range from traditional English gardens to woodland, water, and meadow gardens. On August 4, the Greene County Open Day will take place at the Abeel House Prairie in Catskill. Visitors will have the chance to stroll through the colorful, four-acre quilt of wildflowers that grows in the valley behind the 18th-century Dutch stone house from 10am to 4pm. 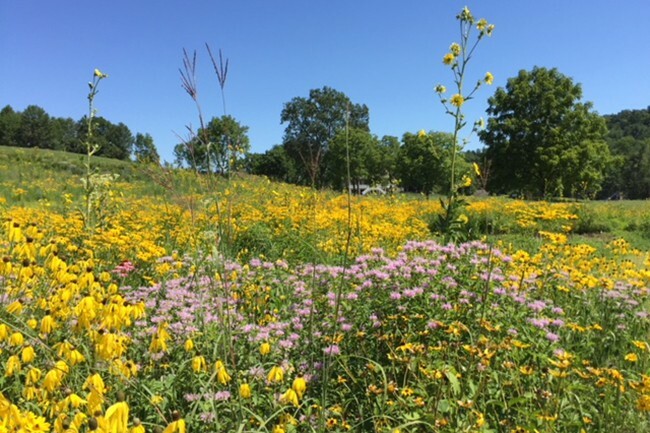 Eight years ago, the property owners planted a wildflower prairie, anticipating it would be an elegant and easy solution to a steep, unmowable slope. They had not anticipated the time-intensive and neverending battle against invasive species, but they stuck with it and their dedication has paid off. Today, the small hollow behind their home boasts over two dozen species of wildflowers and grasses, and is a mecca for pollinators of all shapes and stripes. To kick off the day, the owner of the property will also present “Digging Deeper: Confessions of a Prairie Plant Addict” at 10am. He will explain how he got hooked on wildflowers by his “dealer,” Neil Diboll, owner of Wisconsin’s Prairie Nursery, through gateway plants like purple coneflower and compass plant, and how his addiction grew as he endeavored to transform a weed-infested hillside into the beautiful prairie that it is today. And on Saturday, August 11, head across the river for the Columbia County Open Day with two participating gardens in Hudson. Open Days admission is $7. The price of the Digging Deeper program is $30 for members and $35 nonmembers. Register online. For directions call the Garden Conservancy office toll-free weekdays, 9am-5pm at 1-888-842-2442.